There is now a body of evidence making it a near certainty that the LIGO signals – if there were signals – were due to geomagnetic disturbances. In addition to the literature on Schumann Resonances, Thaddeus Gutierrez has put together evidence of undeniable correlation between all eleven LIGO events and magnetospheric sawtooth disturbance cycle (connected to said lightnings). 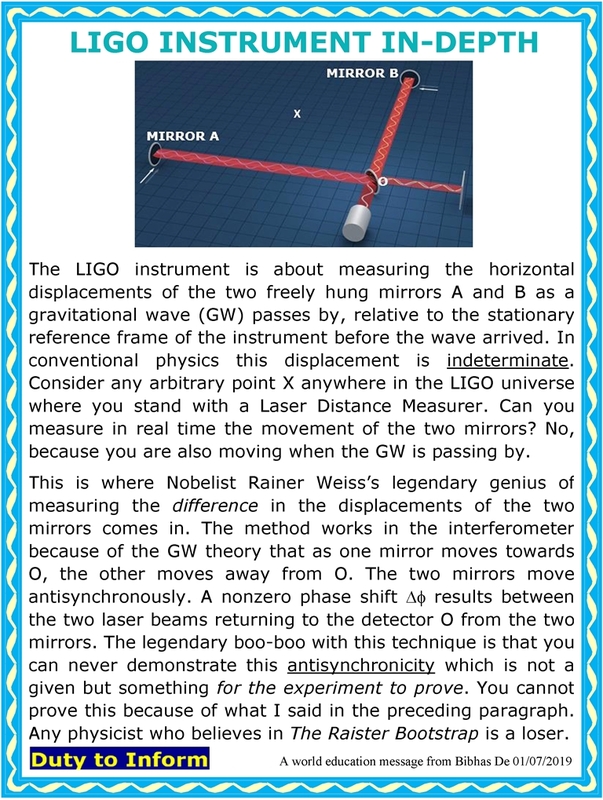 To this add the fact that there is no way in god’s green earth that LIGO could have observed gravitational waves. This is just straightforward physics. So it is just a question of how long Stonewall Reitze can stonewall before this rampant defrauding of taxpayers stops. I find it most unfortunate that the Indian Ligonauts are duping their Prime Minister into performing a Hindu religious groundbreaking ritual in February at the proposed LIGO India site. The leader probably has been led to think this will immortalize him as a champion of cutting-edge science.